Susan Ross, co-founder and partner, launched moss+ross in 2009 following a successful fundraising career with Duke University. She has been the key manager of moss+ross’s work with a number of schools and units at UNC, including Kenan-Flagler, the Rams Club, and Media & Journalism, and at Duke, ranging from Sarah P. Duke Gardens to the Margolis Center for Health Policy. She is currently working with campaigns at Durham Tech, the N.C. School of Science and Mathematics, the Emily Krzyzewski Center and Beth El Synagogue, and assisting nonprofits including Urban Ministries of Durham and the Durham Library Foundation. She specializes in campaign management, feasibility studies, strategic planning, executive coaching and board/volunteer training. 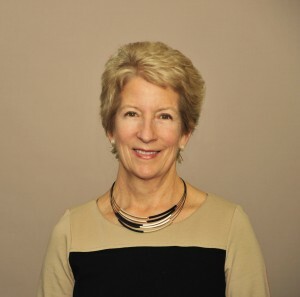 Susan spent nearly three decades as a senior fundraiser at Duke University, leading teams responsible for well over $500 million in fundraising for endowment, facilities, athletics, and annual giving during her professional career. Her most recent role was Assistant Vice President for Financial Aid Development, where she led a staff and volunteer team that raised $308 million for student scholarship endowments university-wide from 2005-2009. Along the way she has played significant roles in her community and church, currently serving as a member of the UNC School of Media and Journalism Board of Advisors, Assistant Governor of Rotary District 7710, and corporation President and Outreach Chair at Trinity Avenue Presbyterian Church. In recent years, she has served as President of the Durham Rotary Club and the Junior League of Durham and Orange Counties, a Board member of the Fifty Group, an elder and building campaign chair at Trinity Avenue, and chaired the Durham Transit Bond committee, the Chamber of Commerce’s Leadership Durham program, the Orange/Durham Coalition for Battered Women, Duke’s United Way campaign, and the Durham Rotary Club’s Centennial Campaign. She received a journalism degree from the University of North Carolina in 1977, where she was a member of Phi Beta Kappa. She began her career as College Relations Director at Saint Mary’s College in Raleigh, with responsibility for admissions and alumnae publications and public relations. She joined the Duke staff in 1980 as Assistant Director of Annual Giving, later serving for seven years as Director of the Duke Annual Fund. She became Associate Dean and Director of Development for Arts and Sciences in 1992, where she developed and launched a $325 million campaign as part of the $2.3 billion Campaign for Duke. From 1998-2004, Ross was Associate Athletics Director and Director of Athletics Development at Duke during a time of tremendous growth. Duke Athletics raised more than $100 million during her tenure, increasing the number of Iron Dukes donors to more than 7500, broadening the gift planning program, and funding a number of construction projects including basketball, football, and tennis buildings. Ross’s work at Duke won three awards from the Council for Advancement and Support of Education, and she was a regular presenter at national fundraising conferences. A native of Durham, Ross attended Durham Public Schools and is a graduate of Hillside High School. She is married to Duke fundraiser Tom Hadzor and together they have six children, ages 28-38, and two grandchildren. The Ross-Hadzor family loves college sports, tennis, golf, traveling and cooking.